we all face in online higher education today. Join us to discuss emerging trends and challenges in online learning. The Online Learning Consortium and partner institution Ashford University invite you to engage in Vision 2029: Re-imaging the Future of Digital Learning. Join us as we explore our shared responsibility as educators to meet our diverse and changing student populations where they are, and to improve student success in online and digital learning. 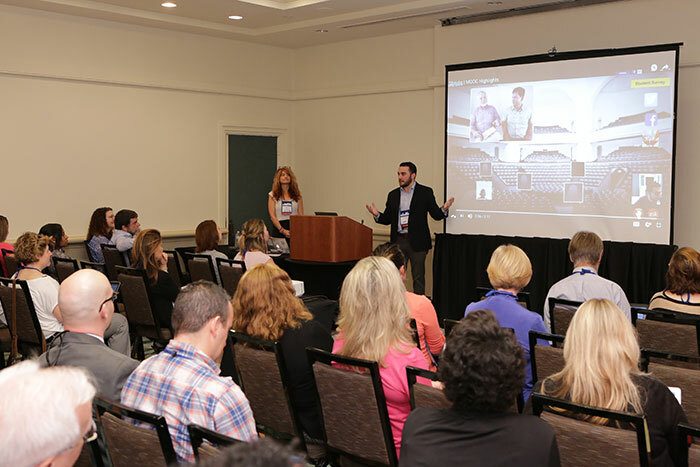 The San Diego Collaborate will host thought leaders who will provoke and inspire participants. How do we reimagine education through digital learning? Join us for a thoughtful day of discussions with colleagues and experts. Our one day event is only $175* for academic registrants who are OLC members. The rate for corporate registrants who are OLC members is $695. Membership discount applied upon registration. Lunch is included in registration fee. *A $50 fee will be charged for all cancelled registrations. Refund requests must be made in writing to Online Learning Consortium. Cancellation by May 7 (up to 1 month out): Refund of payment minus the $50 cancellation fee(s). Cancellation between May 8 and May 27: 50% refund will be issued less a $50 administrative/cancellation fee for registrations. There will be no refunds within 1 week of event date (cancellations must be received by May 28, 2019). If you are not able to attend, a substitute may attend in your place. The name, title, and email address of the substitute must be emailed to conference@onlinelearning-c.org. If you do not attend the program and do not submit a written refund request, Online Learning Consortium will retain all fees. IF you have not paid in advance but have cancelled your registration, you are responsible for the cancellation fee and will be billed. OLC is not responsible for any change / cancellation charges assessed by airlines, travel agents, hotels or other similar vendors. Email all cancellation requests/substitutions/ registration questions to conference@onlinelearning-c.org. If your institution is a member, you must have an individual user account. Register as a free OLC Community Member and affiliate with your member institution. 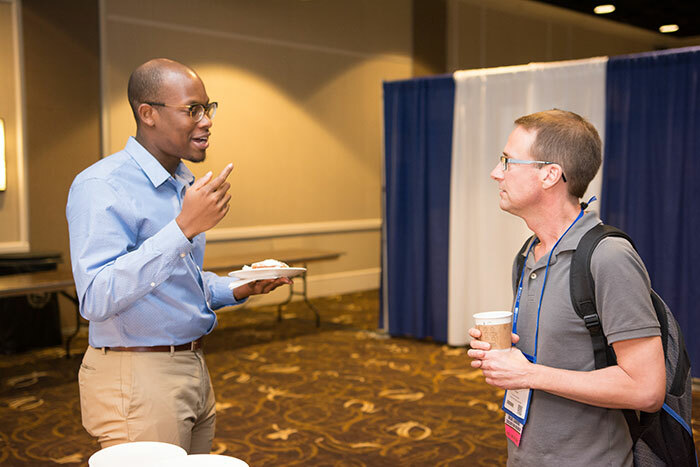 The academic non-member registrant fee is $250*. The rate for corporate registrants who are not OLC members is $895. Lunch is included in registration fee. *Discount codes are not stackable. Corporate members should contact conference@onlinelearning-c.org to receive their discount code. We will take a deep look at the challenges and impact of digital accessibility in education today and work together to collaborate, define and help shape the changing university. Presentations will be followed by facilitator-led discussions that will allow participants to delve into each topic in greater detail. The Next Generation By Design (NGBD) Series is a growing international movement of innovators dedicated to deploying the next generation of educational infrastructure to enable student success. A growing community of higher education institutions is leading the development of solutions that focus on designing and integrating systems that allow information to be shared easily, timely and accurately. This provides improved customization and personalization of the user experience and addresses the fundamental issues of information agency, focusing on issues of privacy, security, and data ownership. This is an action-oriented session that will involve participants in designing and developing the Next Generation of educational solutions and provide consistent access to educational opportunities across a variety of learning experiences, including digital teaching and learning. 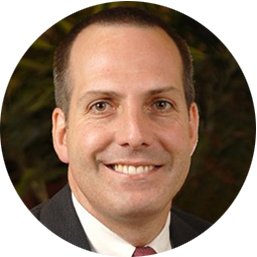 President and co-founder of DXtera Institute℠ Dale Allen is responsible for the expertise and strategic direction necessary to realize DXtera’s entrepreneurial vision of transforming higher education through digital solutions. 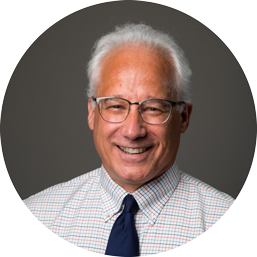 A nationally recognized leader in post-secondary education policy and innovation, Allen brings over 25 years of experience in public and private higher education, systems office, and private industry. His successful record scaling educational innovations has led to more than $1 billion in shared investments to support policies, facilities and efforts aimed at significantly increasing student completion, improving the economic outcomes for individuals and their communities. He most recently served as the Special Assistant to the President for Innovation at Quinsigamond Community College (QCC), leading the conceptualization and implementation of the education and workforce development components of two National Manufacturing Innovation Institutes (NMII): AIM Photonics and Advanced Functional Fabrics of America (AFFOA). Previously, he served as Vice President for Community Engagement at QCC, where he oversaw the $20 million US Department of Labor TAACCCT funded Transformation Agenda. Dr. Allen also served as a Special Assistant to the Massachusetts Commissioner of Higher Education, where he led policy development for college and career pathways, including the Commonwealth’s involvement with Complete College America and the Guided Pathways to Success in STEM careers initiative. Dr. Allen holds master’s and bachelor’s degrees from Springfield College and a doctorate in Public Policy from University of Massachusetts Boston. This presentation will address themes related to fostering student success especially for low-income, first-generation students. Creating a culture of success requires attention to: 1) the importance of validating students, 2) the need to work with an asset-based framework, and 3) the importance of working with High-Impact Practices, including contemplative, deep learning experiences. Laura I Rendón is Professor Emerita at the University of Texas-San Antonio. She is also an education consultant and featured speaker at higher education institutions and conferences throughout the nation. Her presentations focus on topics such as student success, Latinx STEM students, deep learning experiences and self-care and healing. A native of Laredo, Texas Rendón’s passion is ensuring that the nation’s educational system fosters success for all students, especially those who are low income and first generation. Rendón developed “validation theory,” an asset-based student success framework that has been employed to frame research studies and programmatic activities in two- and four-year colleges and universities. Rendón is also a teaching and learning thought leader. She is the author of the book, Sentipensante (Sensing/Thinking Pedagogy): Educating for Wholeness, Social Justice and Liberation, as well as numerous publications focusing on student success and contemplative education. She is a Fellow of the Mind and Life Institute, a member of the Board of Directors of the John N Gardner Institute for Excellence in Undergraduate Education and former Fellow of the Fetzer Institute. 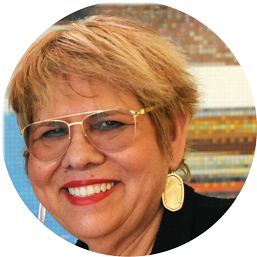 In 2013 the Texas Diversity Council awarded Rendón the title of being one of the Most Powerful and Influential Women in Texas. In 2019 the University of Southern California’s Race and Equity Center recognized Rendón as one of the nation’s most influential Latinas whose scholarship has had transformative effects on higher education. Rendón’s personal archives are located at the Nettie Lee Benson Latin American Collection at the University of Texas-Austin, one of the premier libraries in the world focused on Latin America and Latinx Studies. The proliferation and spread of information via the internet revolutionizes the capability of people with the knowledge, connectivity and equipment to learn about nearly any desired topic. Online social networks and communities enable people to share and spread information and knowledge more quickly than ever before in human history. A by-product of these developments is the growth of non-traditional learning opportunities, communities, micro-credentials, nano-degrees, MOOCs and open educational resources, which foster lifelong learning and can be incorporated into traditional teaching and learning paradigms. How can these developments be cultivated? How can we add value and bridge gaps between already existing degrees, programs and workforce training throughout the lifelong learning journey? Clark Shah-Nelson serves as Assistant Dean of Instructional Design and Technology for the University of Maryland School of Social Work and is a doctoral candidate Evidence-Based Management. Clark is an eLearning instructional design & development professional with over 20 years experience in educational technology innovations: teaching, designing & leading award-winning online and distance learning teams for learning management platform implementation, training, end user support, professional development and engagement. He has presented at numerous online learning and ed tech conferences, was co-founder of the Blend-Online Educause constituent group, co-founding master chef of the Online Learning Consortium (OLC) Technology Test Kitchen, and has recently volunteered as Engagement Co-Chair for OLC Accelerate and Program Co-Chair for OLC Innovate conferences. Clark has authored chapters on synchronous tools for teaching and learning support and co-authored a chapter on professional development installations. As a consultant, Clark has worked on several international projects in the realm of blended and online learning. Significant changes are coming to online education. From balancing the need for educational innovation against regulatory realities, to using data driven approaches to better understand and manage change, to a new model of the university built around competency-based assessments, these are just a few of the factors driving change. 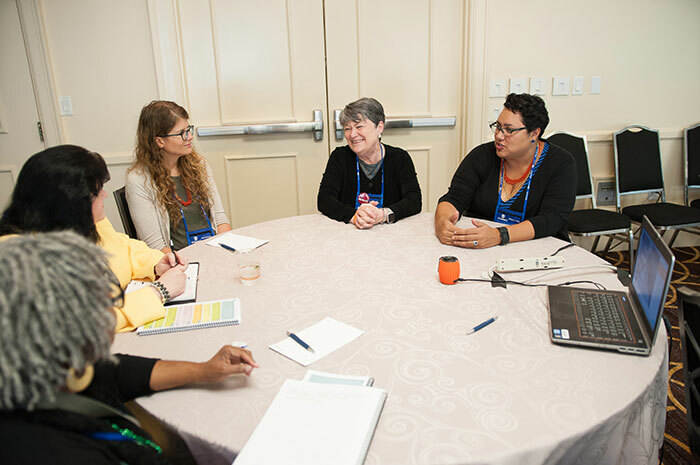 The day’s final session brings together the thoughts and conclusions generated from the OLC Collaborate – San Diego discussions to formulate a regional response to the changing educational environment. Topics gathered by OLC facilitators and session archivists during breakout sessions along with those posted online by participants during the day will be used to guide this interactive final session. 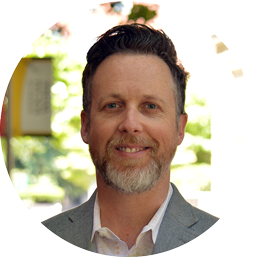 Led by Devon Cancilla from OLC, each of the day’s keynote speakers will have the opportunity to address the collectively generated questions and topics and place them in the context of the broader changes occurring in higher education. The OLC Collaborate –San Diego response will become the second contribution to a national discussion as the OLC Collaborate sessions continue across the country. Devon A. Cancilla is the Chief Knowledge Officer at the Online Learning Consortium. Prior to this role, he served as the Vice Provost for Academic Innovation at UMKC. His team provided instructional design support for the development of online and traditional programs and coordinates UMKC’s activities toward state authorization, student authentication and learning analytics. Prior to coming to UMKC, Devon served as Dean and then Associate Provost for Learning at American Sentinel University, a fully online institution. Devon was also an Associate Professor of Environmental Science and Director of Scientific Technical Services (SciTech) at Western Washington University (WWU) where he led the development of the Integrated Laboratory Network (ILN), an online laboratory initiative funded by the National Science Foundation. Devon has received both the Sloan-C (now OLC) Outstanding Achievement Award for Online Education and an Effective Practice Award for his research into the development and use of online laboratories. He attended the University of Iowa, where he earned his bachelor’s and master’s degrees, and UCLA, where he received his doctorate in Environmental Health Science. Devon’s current research interests relate to the use of analytics in the design and development of online courses. Sharon Goldstein was appointed Campus Operating Officer for Berkeley College Online in January 2007. Ms. Goldstein oversees day-to-day operations, staff development, operations, finances, student and staff retention, space management, community outreach, creative programming, and expansion. She joined Berkeley College in 2003 as the Director of Career Services. Prior to joining Berkeley College, Ms. Goldstein spent 15 years working as a recruiter in the staffing industry and holds the CPC (Certified Personnel Consultant) designation. She currently serves on the Board of Directors of the United States Distance Learning Association. She has twice served as the USDLA annual conference program co-chair, served as editor of the USDLA newsletter and currently chairs the sponsorship committee. In addition, she currently serves on the steering committee for OLC Accelerate 2017. Ms. Goldstein has also served as a Board Member for the Tri-County Chamber of Commerce. Ms. Goldstein recently served as a group facilitator for Neighbors Helping Neighbors, a grassroots, nationally recognized job search support and networking organization targeted to adults who are actively looking for work and interested in reinvigorating their careers and undertaking a job search campaign and continues to support such efforts. Ms. Goldstein is a passionate advocate and speaker on the topic of work/life balance. In addition to keynotes, she created “Feeling of Balance” (feelingofbalance.com), a fun, engaging, customizable workshop through which participants examine the alignment of their values and behaviors in order to create a personal plan for achieving and maintaining balance. Ms. Goldstein holds a B.A. from Dickinson College and an M.S. in Management from the College of Saint Elizabeth. She is a graduate of both Leadership Berkeley and Leadership Paterson and continues to serve as a mentor to others in the Leadership Berkeley program. What will teaching, learning, and working in the Digital Age of Higher Education actually be like in the future? How much should today’s faculty and administrators do to prepare for this future? There is no question that extraordinary change is coming. The question is, how much of that change is within our powers of prediction, and how should we proactively prepare for the future? Participate in the regional OLC Collaborate discussion on the “Changing University” and share in an open dialogue with other colleagues from around the region. Keynote speakers will offer insightful views of the changing university through short, focused presentations. This will bring together how the use of technologies, the dictate of economic realities, increasing regulatory oversight, the need for constant innovation, and new societal expectations of what colleges can and should be are bringing change to higher education. Presentations will be followed by facilitator-led discussions to allow participants to delve into each topic in greater detail. OLC Collaborate session archivists will document the discussions throughout the day, culminating in a collaborate regional response to the changing university. Collaborate General Sessions are 45 minutes long, followed by 45 minute Collaborate Breakout Sessions. Attendees will select one of several breakout sessions to attend following each general session. All sessions are considered BYOD (Bring Your Own Device). 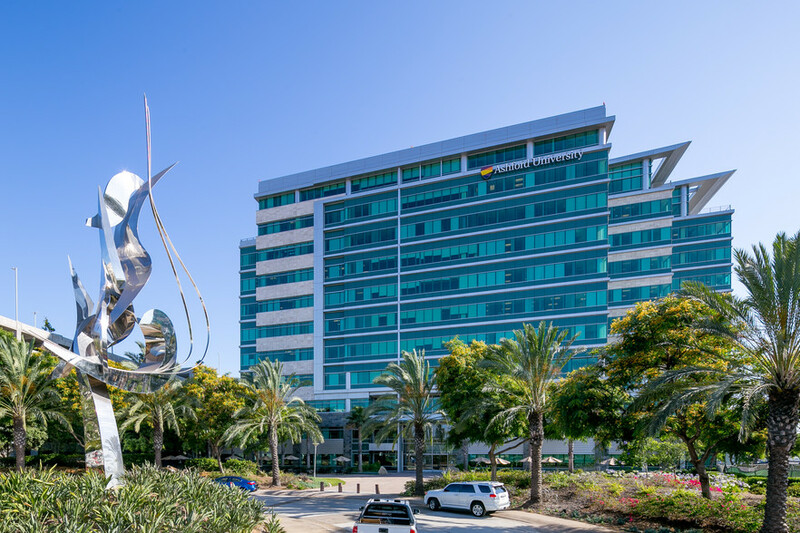 All sessions are held at 8620 Spectrum Center Blvd, San Diego, CA and are in Pacific Time (PT). Joining us for OLC Collaborate? Come directly to 8620 Spectrum Center Blvd, San Diego, CA 92123. Staying the night or making a weekend of it? Make your reservations to stay in nearby hotel, Courtyard San Diego Central. Interested in future regional event announcements? Ashford University is an Accredited Online University offering Associate, Bachelor’s, Master’s, and Doctoral Degrees. The mission of Ashford University is to provide high-quality, accessible, affordable, and innovative, educational programs that meet the diverse needs of individuals pursuing advancement in their lives, professions, and communities. Ashford University is where higher education meets technology. Ashford students can earn their degree online while accessing information and interacting with fellow students from anywhere they can take their smartphone, tablet, or laptop. For more information about Ashford University, visit https://www.ashford.edu/. To find out more, visit our website and follow us on Twitter and Facebook. The University of Missouri System, a land-grant university, is Missouri’s only public research and doctoral-level institution. The university promotes learning by its students and lifelong learning by Missouri’s citizens, fosters innovation to support economic development, and advances the health, cultural, and social interests of the people of Missouri, the nation, and the world. To find out more, visit our website and follow us on Twitter. Through open, usable, cloud-based technologies, Canvas enables easy integration of the content, tools, and services that teachers need and students want. As the most usable, customizable, adaptable, and reliable learning platform (think 99% uptime), Canvas is adopted faster and deeper (or, is used in more ways by more users) than any other LMS. So, in the end, investing in 21st century technology for higher ed actually makes teaching and learning easier (like it’s supposed to). Learn more about Canvas at www.CanvasLMS.com. If you are an education technology or distance learning company, this intimate one-day session will give you the chance to collaborate with educators, administrators, and online learning professionals – your potential clients in discussion forums, at lunch and in our small exhibitor showcase. To learn more, contact our Director, Sponsorship Sales, Brenda Weiss-Pesta by email, brenda.pesta@onlinelearning-c.org or by phone, 617.716.1417.